Motherhood, mayhem, and mirth: My painter (AKA my husband) is about to shoot me. Over the past few months we have played with the idea of making our guest room into Dylan’s room and making Dylan’s current room into a playroom. Mike isn’t too sure about the idea, but we are going forth anyway. Although we often have guests, it does not makes sense to dedicate one room because then we are not using 25% of our bedroom space. It’s like having a living room that you’re not allowed to use. So we are moving on with the project, sort of. I love the bedding we picked. And I’m painting four canvases with horses on them. I also have a huge collection of Breyer horses to add to the horse theme. I’ll post pictures when it’s is finished… that’s if I can ever decide on the yellow! 2. rebuild the wall with door on ride corner. all in about six months when i was a kid. Luckily my wife is not nearly so into complete renovations. I can't wait to see that room! I imagine it will be a dream room for a little girl. A friend of mine recently did a horse-themed bedroom for her daughter. She found these great (huge) wallpaper murals that look like they are hand painted. She chose a stall scene that looks like the horse is looking out over the door while in his stall. A horse blanket is tossed over the opening and the horse blanket colors can be customized. I was very impressed with the look. Let me do some searching and I'll post the link if I can find it. Good luck! My only advice in choosing yellow is: stay away from anything called "Spun Sugar" it is awful AND only paint in eggshell. 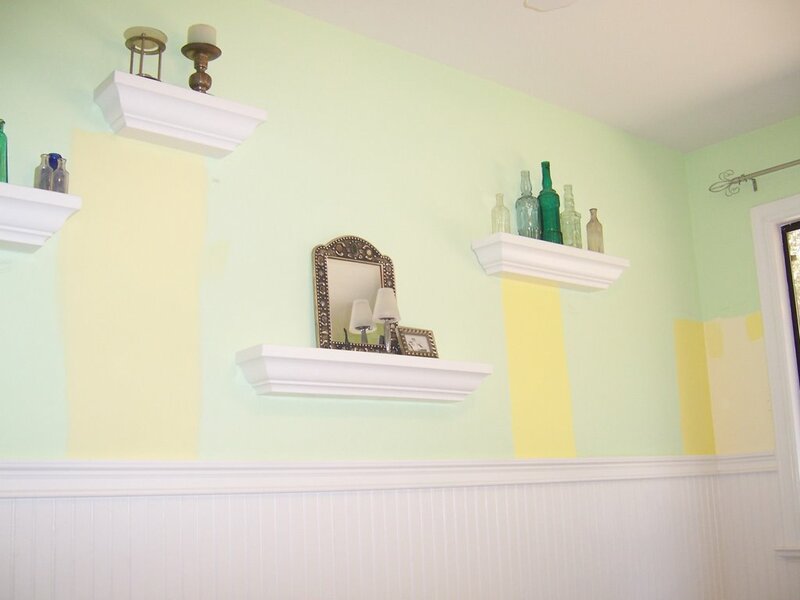 Semi-gloss makes the walls too shiny when painting yellow and most bright colors. I went through three yellows on my daughter's room so let's just say I hear ya. Go lighter than you think, that's my only advice. Even a hair of yellow is YELLOW in a bright room!